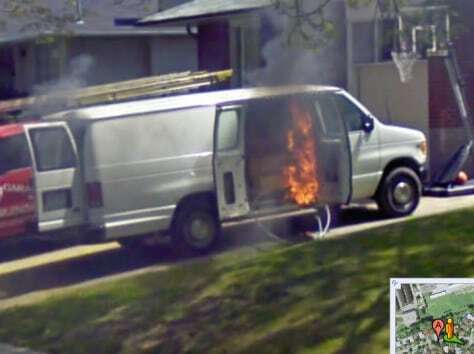 A shot of a van on fire, taken by a Google Street View vehicle recording data in Toronto, Ontario, Canada. 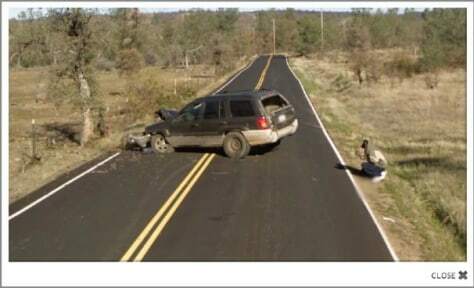 Embarrassing moments, unexplained car crashes, and crazy stunts. 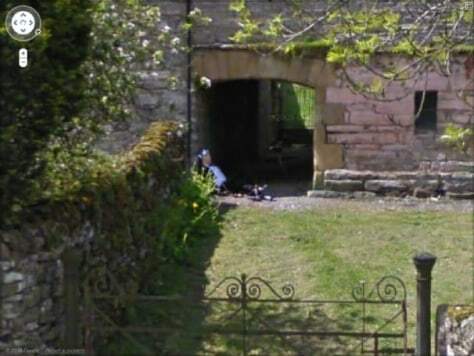 You never know what the Google Street View team is going to capture on camera next — including a young girl playing dead in a British street. 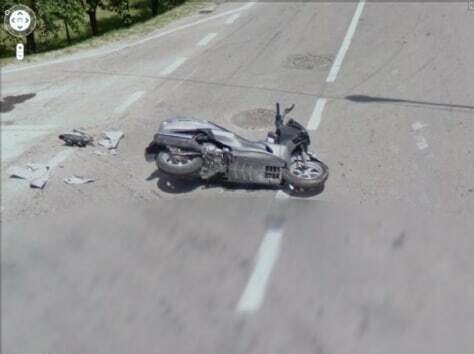 Since its launch in 2007, Google Street View has given us freeze-frames of life around the world — the mundane, the funny, the strange and of course the disastrous. 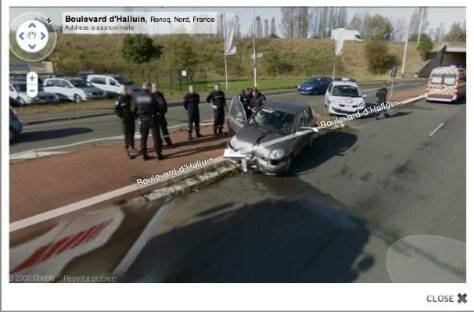 Though Google is still embroiled in a data-collection dispute with several countries, its Street View teams roll on, snapping pictures in neighborhoods like yours. That had to have hurt. 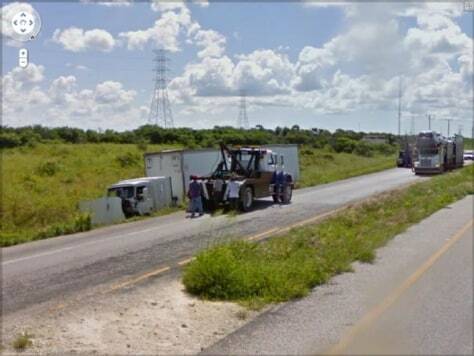 This school girl in Santa Catarina, Nuevo León, Mexico wipes out in front of her friends and in front of a Google Street View camera. 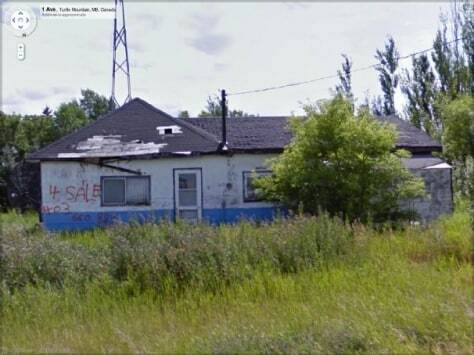 View it yourself in Google Street Views. 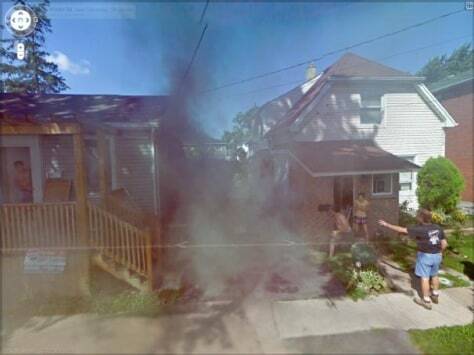 As long as we're on the subject of fire, chaos — and shirtlessness — ensue as a smoke pours down a driveway on Water Street in Saint Catharines, Ontario, Canada. The landscape in Central Shasta, Calif., where this shot was taken looks peaceful enough, but you still wouldn't want to leave your SUV parked sideways on it. 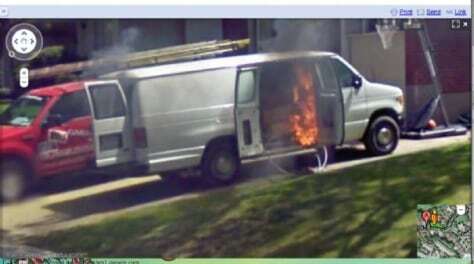 One thing is for sure: The driver isn't going to go far on that front left tire. 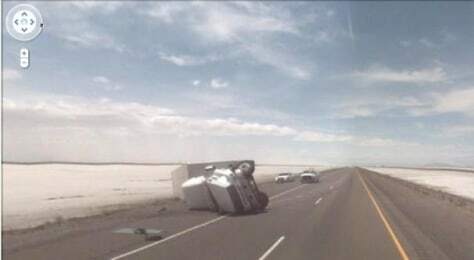 According to the "10 Most Confusing Accidents" on car enthusiast site Jalopnik, this truck overturned in Provo, Utah. 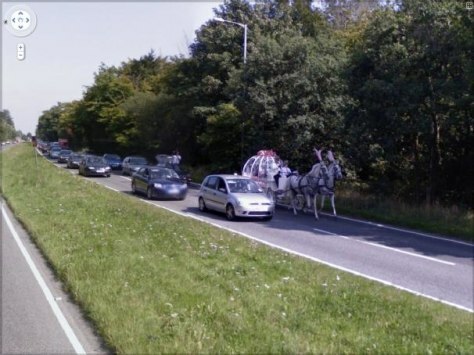 Whether the cause of the accident was a patch of ice, a sudden fierce wind, or an oncoming vehicle, we'll never know.